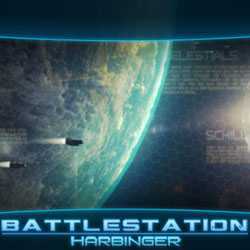 Battlestation Harbinger is an Action, Strategy and Simulation game for PC published by Bugbyte Ltd in 2016. Travel to the unknown galaxies. You will play as a brave commander to stop the enemies’ destruction. They are doing anything they can to sabotage on the galaxies.